When Deniz started out in digital, modems were the size of small cars and the population of 'online' was not far away from one of a sleepy outback town. After 20 years of working in key global digital agencies, building his very own and running some of the largest digital accounts in Australia, the only thing that has not changed is his fascination with this ever-evolving medium. In the last 12 years, he has worked as the co-founder and managing director of Webling Interactive. Deniz has won over 20 local and global awards across his career and is a frequent contributor to industry publications. 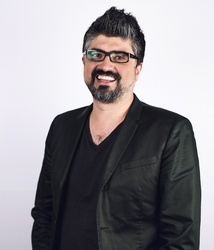 Brands Deniz has worked with in his career include Microsoft, Google, Coca Cola, Coles, Telstra, Channel 7, NRMA, Mirvac, Acer, Australian Government, CommBank, Amex, and Arnott’s.